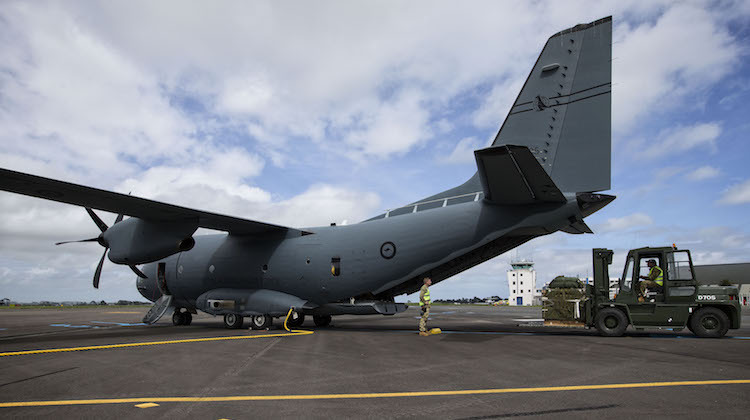 A C-27J Spartan battlefield airlifter and 44 personnel from the Royal Australian Air Force (RAAF) will participate in Exercise Mhanuu 2017 in New Caledonia until November 24. The exercise involves rehearsing regional humanitarian assistance and disaster relief (HADR) scenarios, Defence stated. The C-27J from 35 Squadron at RAAF Base Richmond will be operating in coordination with French aircraft. Wing Commander Jarrod Pendlebury, commanding officer 35 Squadron, said that the exercise serves as a valuable training experience. “We carry a tremendous amount of experience with HADR operations, and it is important to apply that knowledge to the Spartan workforce,” said WGCDR Pendlebury. “This includes flying missions to airdrop aid and personnel, evacuate people from remote airstrips and conduct aeromedical evacuations. AA – I think the caption to the file image photograph needs the letters “RAAF” inserted ahead of “C-27J” and the word “at” inserted after it. Otherwise we may all get the wrong idea that Enzed has actually purchased their own Spartans, which is never likely to happen! Good point AlanH. The caption has been amended. Apologies for the error. Gee, they are really getting a workout! The RAAF has a great little workhorse with the Spartan. Flew five sectors in NZ with Exercise Katipo 17 recently. Ideal incountry lifter an ideal for tactical and can perform. For NZ might be a bit small on payload range. Flew something like 70 hours over here for its short stay. Great crew and very accommodating. Virtually no down time.